A Way of Life Farm has the goal of fostering healthy people, healthy economy, and healthy ecology through food production. With a crew of two farmers, four apprentices, two children, and extended family, we grow Certified Organic vegetables, strawberries, blueberries, and pasture-raised pork for sale to farmers’ market, CSA, and restaurant customers. This commercial production is integral to a broader permaculture design and land revitalization. It includes the development of fruit and nut orchards (persimmon, pawpaw, tea camelia, muscadines, chestnuts, pecans, and apples). Our products are sold through the Charlotte Regional Farmers’ Market (year-round), a few restaurants, our Asheville and Rutherford Co. CSA (April - December), Fork!, and Ramen Soul. “I have been a member of A Way Of Life Csa CSA for six years now, and my affection and appreciation for my farmers, Sara Jane and Jamie Davis, has grown greatly over this course of time. This couple has a deep love and respect for the Earth and no matter what difficulties (destructive weather, seemingly endless physically challenging tasks from dawn to dusk, voracious bugs and weeds, and even pigs that escape their pens!) I have seen them stay firmly fixed on their vision to be wholesome food providers that only do good and "do no harm" to our dear planet. They are continuously learning and innovating on their lovely little farm which is truly a classroom without walls. I also enjoy their kids and love seeing them grow up. We offer apprenticeships starting as early as mid-January and ending in December and have part-time positions available in the winter. We typically work between 40-50 hours each week. We expect hard work during these hours and also respect your time and life away from the farm, trying our best to stick to a prearranged schedule. A typical day will begin at 7:45 am and end at 5:45 pm, with 2 hours for lunch. Apprentices have every Sunday off, one Wednesday afternoon/month off beginning in May, and one four-day weekend in the summer (Saturday-Tuesday). Saturdays will rotate between going to the Farmers’ Market and having the day off. Fridays are one of the busiest farm days and cannot be missed. Occasionally, the farm will demand longer days just to get to job done. Apprentices work closely with farmers, Jamie and Sara Jane, to learn how and why we farm the way we do. We use a combination of organic and sustainable practices including low-till raised beds, cover cropping, Kinsey-Albrecht method, keyline plowing, Holistic Management, and permaculture design throughout our land. About 90% of our time is spent growing vegetables. We start our own vegetable transplants from seed and propagate perennials in a permanent greenhouse. Over 40 types of vegetables and herbs are grown outdoors in raised beds and under cover of high tunnels and caterpillar tunnels. A tractor is used for initial bed preparation, but most of our work -- planting, weeding, harvesting -- is done with hand tools. 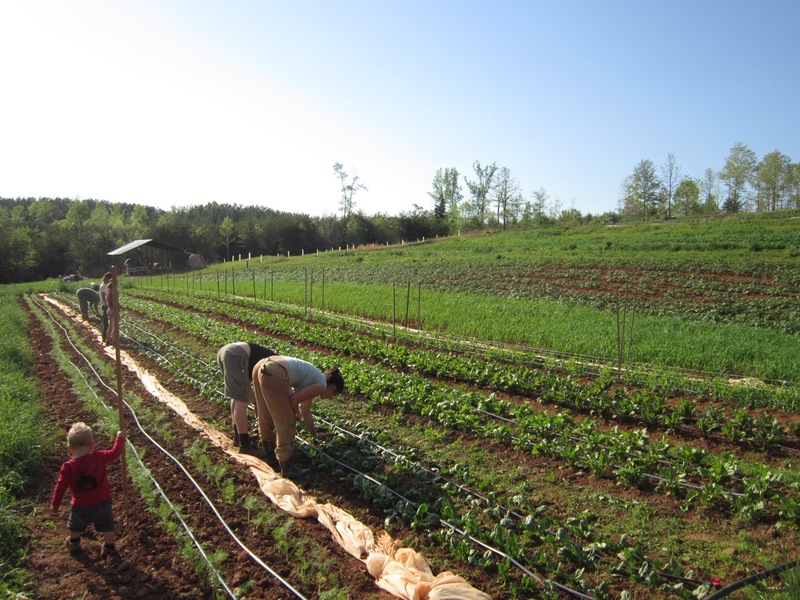 Along with a wide range of experience on the farm, apprentices are given specific responsibilities on the farm including pastured pig care, greenhouse production, crop specialties, etc. Apprentices receive a monthly stipend starting at $700/month, housing in a personal camper-trailer or tiny home (with electricity, cold water, outhouse, hot shower and propane cooking appliances), two farm crew meals per week, vegetables from the farm, food staples, a pork credit, and participation in monthly CRAFT farm tours. Our farm is a very active member in the CRAFT network. We're located in a rural area in the foothills of Western NC. Our property is 40 acres from a hilltop down to a beautiful creek to dip your feet in during the summer. Forest City, the nearest town, is a 15 minute drive with everything we need and a charming main street with a few restaurants, bars, and shops. Larger towns, Morganton and Shelby, are 30 minutes away, and Asheville and Charlotte are about an hour. There are plenty of opportunities for hiking and swimming nearby at South Mountain State Park. We are looking for curious apprentices with good communication skills and self-motivation. Some previous experience on a commercial farm is highly recommended -- this may take the form of previous farm internships or even just a couple days volunteering on a commercial farm. Experience with physical labor or intense outdoor activity is important. Our bodies are our primary tools on the farm. Hands-on learning is a given on a farm, but the ability to learn from listening is very valuable as a lot of information is conveyed verbally through informal “classes”. We cannot accommodate pets or smoking on the farm. To inquire about employment opportunities, please contact Sara Jane (farm owner/operator) by email between September and March or visit our website for further information. 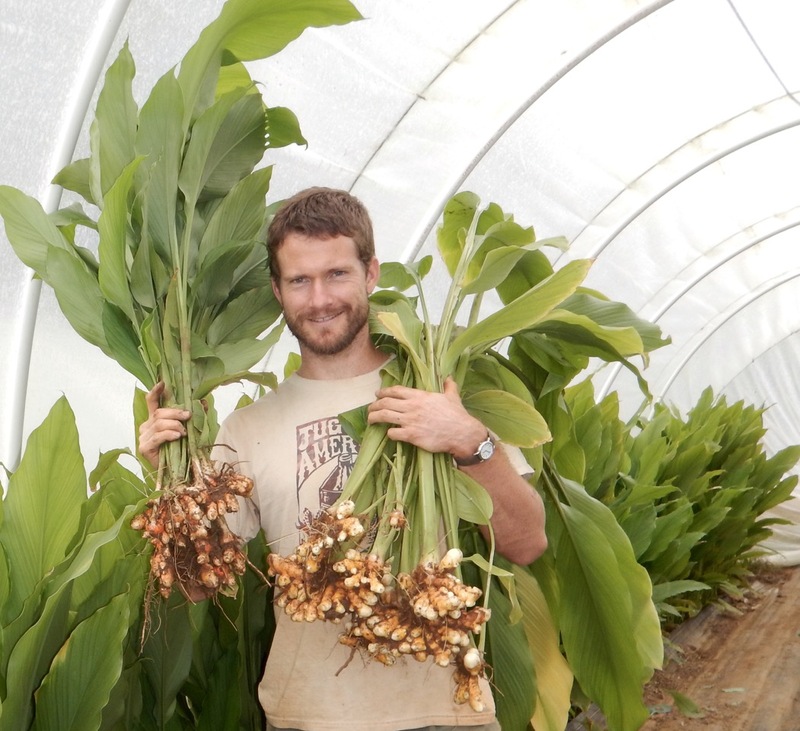 “I had a truly transformative experience working with Jaime and Sara Jane at A Way of Life Farm. This was my first full season working on a farm after having some experience with WWOOFing. Because I was so new to everything, the first couple of months were extremely challenging and it really felt like a crash course in organic farming. I learned so much in such a short amount of time and then was able to hone those skills as I continued learning throughout the season. I genuinely feel like I couldn't have gone through this experience with better mentors. Jaime and Sara Jane are both incredibly knowledgable and patient teachers. As someone who aspires to be a future farmer, it was inspiring to see two people who have made a happy, fulfilling, and successful life for themselves through organic farming. The location of the farm is great. It's right in between both Asheville and Charlotte while still being far enough away from each to enjoy the benefits of being in a rural area. CRAFT events were a great way to socialize with other farmers and get a glimpse into how every farm does things differently. Jaime and Sara Jane were great about providing a farming education beyond the daily grind of the farm work. I genuinely can't recommend A Way of Life enough. It in incredible to think back on my first days on the farm and the transformation that has occurred. I have learned so many of the technical skills and basic knowledge to help jump start my farming career, but even more importantly I have a greater sense of drive to achieve my goals after experiencing what life as an organic farmer is really like. We hold annual farm tours. To check on our current events, please visit our website.